A study of genealogical history going back to some of Quebec's earliest settlers is providing a tantalizing clue about how human evolution was shaped as populations expanded to cover the globe over thousands of millennia. Using parish records of marriages and births between 1686 and 1960, researchers analyzed the genealogy of more than a million individuals who trace their ancestry to early colonists in the Charlevoix Saguenay-Lac-Saint-Jean region of Quebec. The researchers, whose report is published online in the journal Science, found that those settlers who colonized this region — representing the "wave front" of the expansion range — had significantly more offspring than those who lived within the core of the existing colony in 17th-century New France. "We found out that people on this wave front had more children," said Damian Labuda of the University of Montreal, who co-led the international study. Early church records show that women in this group had nine children each on average, compared to just under eight for those in the original colony. Some families had more than a dozen children. The researchers say that represents about a 15 per cent higher reproduction rate for women at the forefront of the new community, compared to women who stayed in the original settlement or those who joined the outpost colony later. The reason, they suggest, is that women on the wave front married one year earlier on average than women whose home and hearth remained part of an established population. Records show that couples in the wave front of expansion not only had more children themselves, but so did their own children once they married, compared with core families. And those who put down roots in new territory also had 20 per cent more married children. Co-lead investigator Laurent Excoffier of the University of Berne in Switzerland said the higher reproduction rate among women in the expansion wave front suggests there was likely less competition for land, food and other resources than in already colonized areas. "Somehow it seems the conditions to have more children were more favourable on the front than in the range core," Excoffier told a teleconference Thursday. "People could indeed marry younger as more farm land was available on the wave front than in the core, where good lands were mostly already occupied." A previous University of Montreal study also found the wave-front effect at work when comparing the reproduction rate of early female pioneers in New France versus that of women living in France during the period. "At that time, the French settlers of Nouvelle France can be considered to be at the wave front, with France representing the core," said Labuda. "On average, women in the St. Lawrence Valley had two more children than women in France." Having larger families gave these settlers an evolutionary advantage over time because their genes were passed down to a higher number of offspring in subsequent generations, "which is a huge effect," said Labuda. "Those who came first contributed most of the genetic pool of this population," he said of today's descendents. About 80 per cent of current residents of the Charlevoix Saguenay and nearby Lac-St-Jean regions are still living on what was the wave front "or very close to it," noted Excoffier. The Quebec data have provided the first opportunity for researchers to study a human range expansion in real time and over several centuries, the authors say. 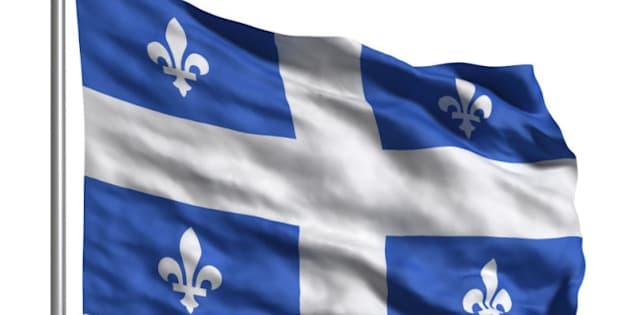 "It is exciting to see how a study on a regional population of Quebec can bring insights on human processes that have been going on for thousands of years," said Helene Vezina, a professor of human sciences at the University of Quebec at Chicoutimi and manager of the BALSAC Project database used in the study. The Quebec study suggests that waves of territorial expansion, into such regions as Europe and Asia, likely played a key role in how modern humans evolved, the authors say. "This would imply that previous range expansions might have accelerated human evolution by favouring some traits related to dispersal and reproduction," Labuda said. The researchers speculate that certain genetic traits — including curiosity about what was over the next hilltop or across a river — may have evolved during past range expansions after modern humans left Africa some 50,000 years ago. "It underlines the importance of range expansion in human evolution and it raises interesting questions about the nature of our species," he said. "If human evolution occurred largely at the edge, could this be the reason for our curiosity for the unknown and our propensity to explore?"